You can now get a “slide-up” style title for all your thumbnails, in addition to the JQuery Tooltip and other options that you have. I removed some syntax that was causing the plugin to break installations with PHP versions 5.3 or below. If problems persist, please let me know and I will take a look. I have made a small change to ensure that Picasa photos are pulled from an https link instead of http. This will ensure that the plugin works for Picasa even when the WP installation has SSL. I learnt today that Google is shutting down Picasa (both, Web and Desktop) in favour of Google Photos. This isn’t good news. They haven’t provided any information regarding API changes, and given the challenges we have had with authkey settings and the differences between album protection of PicasaWeb and Google Photos, I can only surmise the level of difficulty I am going to face in making things work once Picasa is gone for good. Google has currently provided a date of 1st May 2016. Let’s hope they at least do a good job of the API updates before then. In the meanwhile, do let me know if your Picasa albums suddenly stop working. 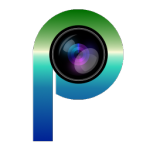 What is the current status of photonic working with Google Photos? There are some instructions posted by users, which you can try: https://wordpress.org/support/topic/cant-retrieve-photos-from-specific-picasa-album/.